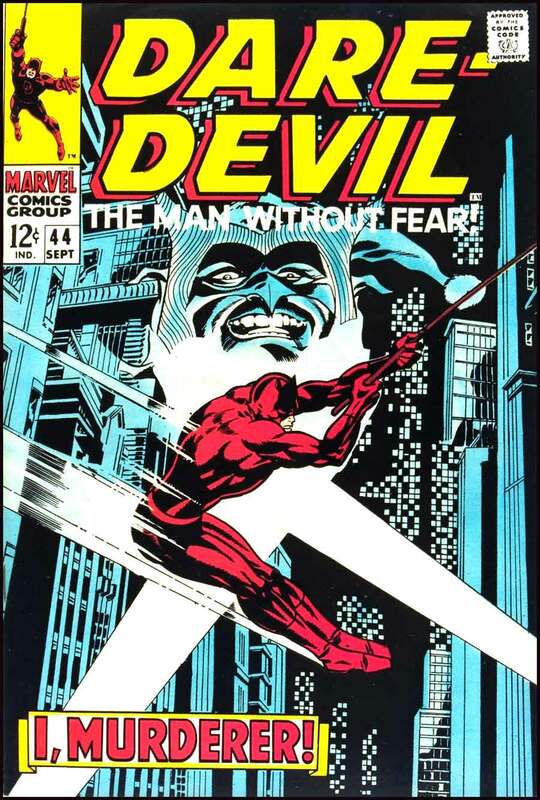 When Gene Colan took over from John Romita in issue 20 of Daredevil he defined the look and style of Daredevil for the next two decades. 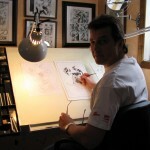 Over that period of time he had a few different inkers, but early on it was Frank Giacoia and John Tartaglione who embellished him for the first 24 issues or so after coming on to the title. Both did a great job inking over the fluid pencils of Gene the Dean, each adding a lot of weight to the athleticism of Gene’s pencils. I was looking at this run recently and was enjoying the Jester storyline starting with #42 which was inked by Dapper Dan Adkins. 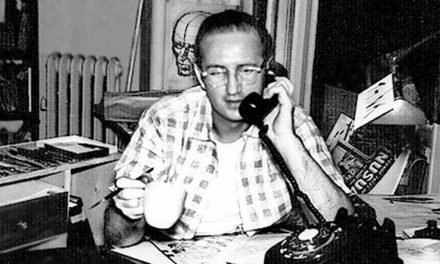 Dan was an assistant to Wally Wood early in his career, and certainly was an inker that always added value to anyone he inked. His clean smooth line and steady hand was always so evident on whomever he inked. Just look at the cover, with it’s clean white background! Colan’s trademark motion and Adkins’ clean lines add to a perfectly captured moment in time! Issue number 45 was inked by Vince Colletta and he did quite an admirable job on this issue. Vince is rarely spoken of in glowing terms as an inker, but he was fast, and that kept him employed for the rest of his career. 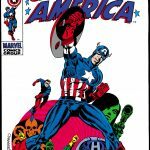 He also did issue #43 with Captain America and even used Zip-a-tone for I think the first time! Now the interesting part of this post. 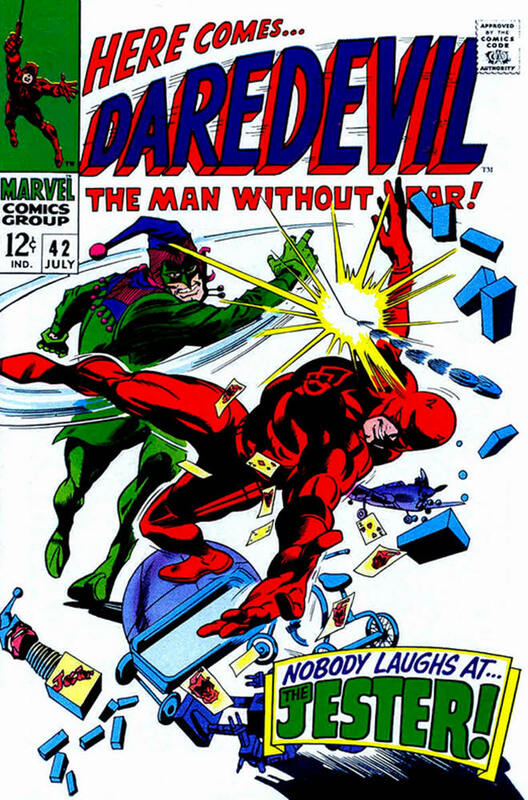 Issue number 44 has a striking cover of Daredevil scouring the city for the Jester. 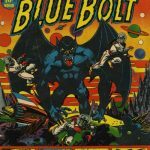 Classic motion and use of shadows as is the signature of Gene Colan’s work. 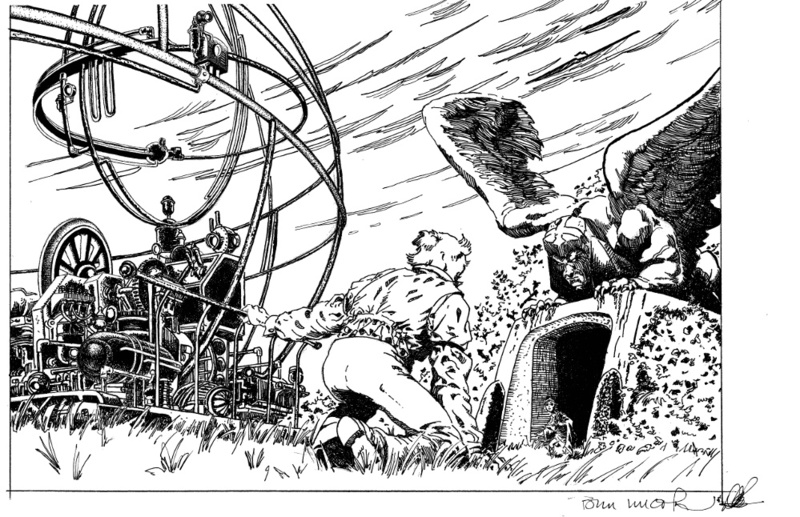 The interior is also inked by Vince Colletta. 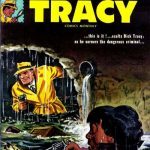 If you are familiar with Colletta’s work there is something very striking about this issue. This is definitely the best work of his career! By the time you get to the middle of the book it becomes apparent that this smooth line work cannot be Colletta. Can it? Where is the scratchy penmanship, the empty backgrounds. Something is wrong here. This can’t be Vince’s work. 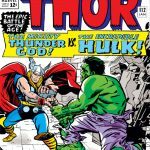 After scouring the internet, I found a one line statement that in issue #2 of Marvelmania Magazine it was stated that Dan Adkins and not Vince Colletta had inked it which made a heck of a lot of sense.It was a typo! Check out the artwork in issue 44. It is stunning! 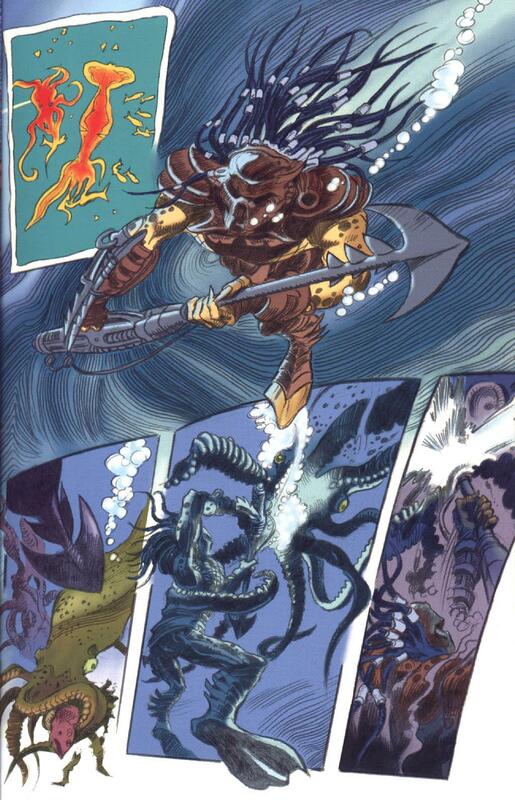 Every page is a prime example of storytelling and layout.It is a hidden classic! And remember the Fantastic cover? It was the one and only time Gene Colan was inked by… Jim Steranko! Once you know it’s Steranko, his influence on that cover really begins to stand out. 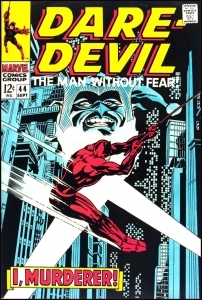 Daredevil issue 44 cover by Gene Colan and Jim Steranko. Source. 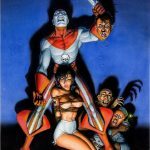 Steranko didn’t ink too many people that I am aware of and this is a little piece of not so well known info regarding this hidden gem. 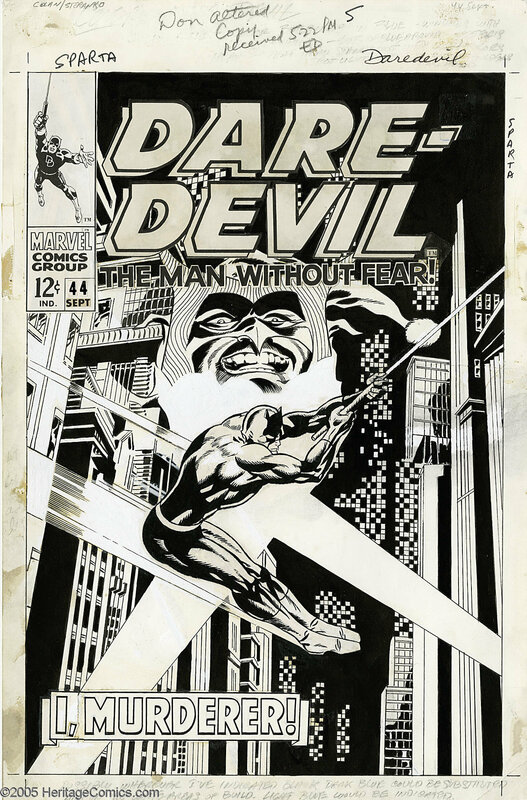 I’m a huge fan of the Benids/Maleev and Brubaker/Lark era of Daredevil and recently picked up a nice copy of that #44 just as a keepsake, and largely because of that iconic cover. I thought it highly unlikely that those inking credits were correct for most of the reasons you mentioned, and that cover just screamed somebody, anybody, but Coletta on inks. The fact that it was Steranko explains everything. Thanks for a truly informative post Dennis. It’s posts like this that keep me coming back to CBD for more. 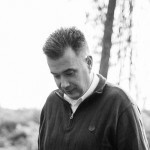 Hey Dennis – well Mel beat me to the punch on this one and pretty much summed up what I was going to say so x2. I really do enjoy these posts through your artist eye. Reading these books growing up I really didn’t like the Jester much because I thought he was way too much of a Joker steal from Batman. Even 12 year old me recognized that! Who did Stan think he was fooling!! 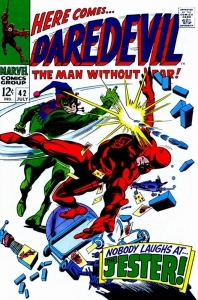 And you are right the 44th issue cover of Daredevil is outstanding and often doesn’t get its due..
was actually called the Joker on one occasion! Oftimes we spend so much time on the keys we miss out on some really great issues. I plan on highlighting them just because they are good not neccesarily Key! I bet if we held a vote there wouldn’t be too many fans of the Jester out there.Anybody?…One? Maybe he resides in the dark shadows of CBD! Actually, I would take the Jester any day over, say, Leap Frog. So, if it’s a vote between Daredevil’s two lamest adversaries, I would say Leap Frog jumps to the head of the class for insipidity, hands down. Oh there are a few others as well.Matador comes to mind as well as Stiltman!